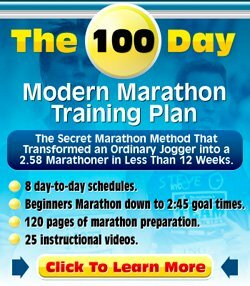 Is 3h30 a Realistic Goal for My First Marathon? My name is Sebastien, I'm 40 years old and I started running 6 months ago. I have never done any sport since I was 12 as I grew up on a boat and later started working as a marine carpenter. I'm 1.78 meter and 75 kilos. When I started, I couldn't run 3km, but I'm very determined and I push my self constantly. I have run 40 times in 6 months and I am now running 3 to 4 times a week. I have entered the Sevilla marathon in Spain which will be held four months from now. My PB on a 10k is 47 min and on a half marathon is 1 h 45. My question is: is 3h30 a realistic target for Sevilla? Thanks for your question regarding your marathon time goal. Based on your current times, the 3h30 time goal is not yet attainable. You ran your half marathon in 1h45min, roughly 5 min / km. I'd expect you to run your marathon in about 5.15 - 5.20 min / km, so that would get you to about 3 hr 40 / 3 hr 45 min. And that's provided you can hold it together in the last 10k, which you'll know is the hardest part in the marathon. However, you still have quite some time till then. It's not to be said that you can't improve. Have a look at my marathon training tips page. It provides some useful tips for marathon training. Not enough 20 mile / 30k runs. All running done at one speed, neglecting the power of tempo workouts. Also make sure you check out my 100 Day Marathon Plan review. The book is written by Marius Bakken, a former Olympian. I have been in personal contact with Marius a number of times and can't speak highly enough of his professional approach and his running knowledge. His programs are time based and a 3h30min plan is included. See if you can plan in a half marathon 3-4 weeks before the race. And then plug in the results in my race conversion calculator. It will hopefully give you a good estimate of your expected race time. For a 3hr30 marathon, your half marathon would have to be sub 1hr40. Comments for Is 3h30 a Realistic Goal for My First Marathon? Thank you so much for your comments. I can see you spend time reading my mail and I apriciate that. Your Answer gave me a boost and if your are interested to follow my progression to reach my goal, I will up date you from time to time. Give three weeks before I can do the half marathon in 1h40. Thanks again and talk to you soon. 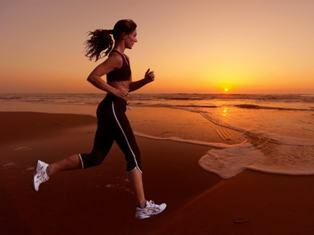 Goals are great, but remember that the average physically fit person is not conditioned enough to complete a marathon. Based on your progress so far I think your goal is very aggressive. That is ok to shoot for, but also have a satisfaction goal that is considerably lower. You will likely finish somewhere in the middle. That will allow you to take your earned bragging rights for accomplishing what a small percentage of the world population can do, instead of feeling like a failure because you over reached. Good luck.